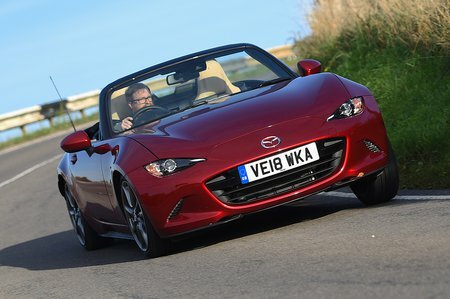 Mazda MX-5 GT Sport Nav+ Review and Deals 2019 | What Car? Top-spec GT Sport Nav+ models are only available with the 2.0-litre engine and add sand-coloured leather seats, a black boot spoiler, stainless steel scuff plates, blindspot monitoring and a rear-view camera. We'd stick to cheaper Sport Nav+ trim.